LG unveils the ThinQ. The World First AI powered phone.  Home  AI  Photography  smartphone  LG unveils the ThinQ. The World First AI powered phone. LG debuted its first ThinQ mobile device this week at Mobile World Congress (MWC) 2018 in Barcelona, Spain. 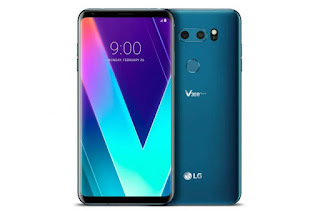 It was built on the LG V30 flagship. It would be called the LG V30S. ThinQ is LG own in-house AI system which they plan to eventually put in all their products. The phone has a particular focus on the camera and voice recognition, the resulting Vision AI delivers a smarter camera that is even easier to use, while Voice AI significantly enhances the breadth of spoken commands in the latest smartphone. 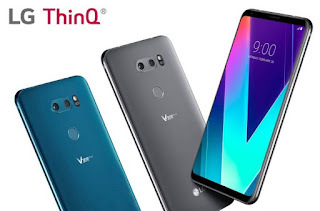 The Vision AI includes three new intelligent camera features: AI CAM, QLens and Bright Mode that automates and enhances the smartphone image capturing experience for novice as well as experienced shutterbugs. AI CAM analyzes subjects in the frame and recommends the optimal shooting mode among eight categories. QLens takes further advantage of the image recognition capabilities of the AI technology to scan QR codes to improve the online shopping experience. While Low light photography on the LG V30S ThinQ gets a huge boost with Bright Mode. Instead of measuring only ambient light like most smartphone cameras, this AI feature uses algorithms to brighten images by a factor of two for better looking photos without the noise. Another new innovative feature is Voice AI that allows users to run apps and change settings through voice commands alone. This works alongside Google Assistant, the LG-exclusive Voice AI commands eliminates the need to search through menu options and allows for direct selection of specific functions. All this features coupled together with the flagship specs of V30 make it a compelling product.